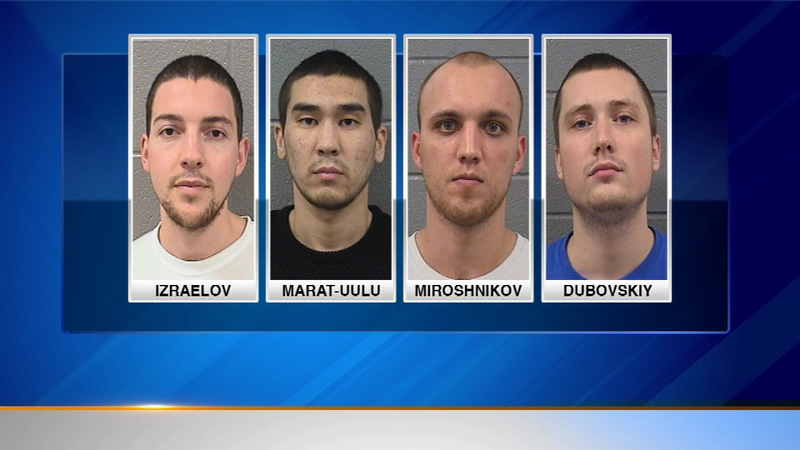 Four men from New York have been charged in a skimming operation in north suburban Skokie. SKOKIE, Ill. (WLS) -- Four men from New York have been charged in a skimming operation in north suburban Skokie. Prosecutors said the men attached a skimming device to a Chase Bank ATM on two separate occasions. The device steals financial information from credit and debit cards. Police found other gadgets used for identity theft in the suspects' car and hotel room.